The hotel is a luxurious, classic, family-run Three-star hotel looking out across the Atlantic sea. Ideal to just relax, unwind, indulge in style, or just to get away from it all. 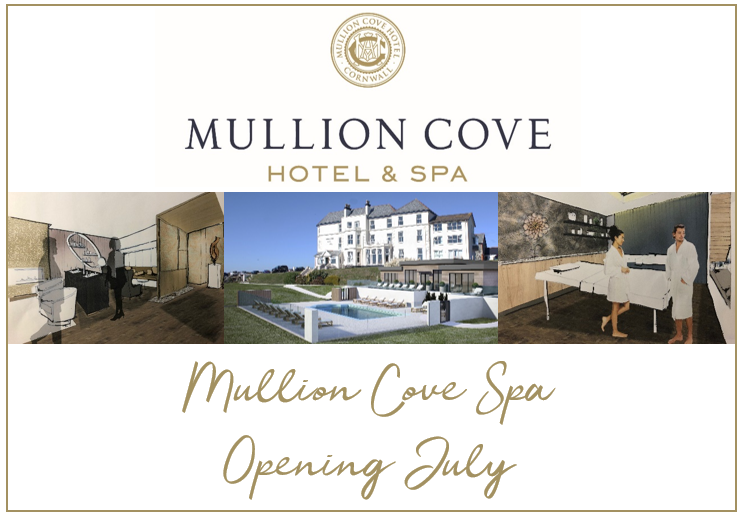 Owned by the Grose family since 2006, the Mullion Cove Hotel is in a class of it’s own. For over 100 years, guests have enjoyed it’s character, hospitality and first-class service. WI-FI available throughout the hotel. Mobility aids can be organised, eg pushchairs, mobility chairs, bath lifts. We have a list of local attractions upon request. The nearest town is Helston – 9 miles away. There is a bus from Mullion to Helston 7 times a day. All guests can use the main entrance of the hotel or the Bar entrance. There are steps at the front entrance. The main entrance has a lightweight aluminum door. The Bistro entrance has an wider door and is beeter suited for wheelchair users. Both entrances are near to the car parks. There is one by reception giving access to all levels. If you need assistance with luggage, equipment or guidance, our team of are on duty 24 hours. In the porch an doggy lounge there is water provided for dogs. 75 car parking spaces available. Disabled space available – outside the front entrance. Provisions for dogs provided, eg water bowl. Telephone to allow late access on main entrance to hotel. There are no steps in the main lobby. Entrance doors are not automatic doors. There are is a sitting area in reception foyer. Reception is manned from 8am to 9.30pm. Duty Manager available between 9.30pm and 8am. The main reception desk is 106cm high. Registration can be completed whilst sitting in the reception area. The registration card can be enlarged if required. The floor surface through the reception lobby is carpet. Reception staff provide a welcome and introduction to the hotel. The lift measures 106cm x 138cm. The main lift is loop fitted. The main bar and restaurant are located on the ground floor. The hotel is mostly carpeted throughout. The Glenbervie bar has a wooden effect vinyl flooring. Bedrooms are accessed via a key which is given to you upon checkin. The corridors outside the bedrooms range in measure from approx 83cm an 180 wide. Baby changing facilities are available in the disabled toilets located on the ground floor. There is a separate guest lounge overlooking the bay. Photocopying, email, fax and internet access are available. There are male, female and disabled toilets on the ground floor. Coat hooks are provided in the public toilets. A disabled toilet is available on the ground floor and is fitted with an emergency pull cord. The taps in the disabled toilets have lever handles. The restaurant has one level to see the best of the panoramic views; where possible the main seating area is used. The nearest toilets to the bar and restaurant are on the ground floor. The Glenbervie bar is situated on the ground floor and has level entry. The restaurant is on the ground floor. The restaurant is waiting service. There is a podium on entry to the restaurant where staff will seat you at a table. The restaurant is full waiting service for dinner; buffet breakfast offers cereals, fruits, juices, and a cooked hot breakfast, ordered to your choice. We are able to cater for varying dietary needs, please advise our reception staff prior to arrival. Laundry service and dry cleaning is offered. Bags are available in bedrooms and are collected by 9am each day and returned by 5pm the following day (no dry cleaning). Please inform reception if you require this service. There is a cabinet in main reception corridor which contain items for sale. These can be purchased through reception. We have one conference room, The Studio, which is on the lower ground floor. There are 30 accessible bedrooms over 3 floors . Some bedrooms are suitable for wheelchair access. Flashing light on smoke detectors. Flooring – carpets in bedrooms, non-slip laminate flooring in bathrooms. Entrance to bedrooms is level and can be accessed via a lift. Single leaf doors. Baths are standard height, some with hand-rails. Entry is by a key – additional keys available. We have family rooms and family suites. Hotel set in 1 acre. Accessible with the use of pathways. There is seating for resting. The hotel is no smoking. If you require assistance during your stay please contact reception. The Duty Manager can also be contacted via reception, 24 hours. We have a set evacuation procedure for fire evacuation – alarm sounders are a continuous alarm. Fire evacuation procedures and fire plans are displayed in all individual guest rooms. All staff have are fully trained in evacuation procedures. All front house staff have regular training which includes disability awareness training. Dogs may be accommodated in guests rooms at a small charge –they are not accepted in rooms on the second floor they are allowed in the doggy lounge and hotel gardens on a lead.